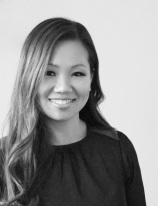 Dr. Eve Choe is a licensed chiropractor in the province of Ontario with over 12 years of experience. She is board certified in both the U.S. and Canada and is an active member of the Ontario Chiropractic Association, Canadian Chiropractic Association, and the International Chiropractic Pediatric Association. Dr. Eve graduated from the University of Toronto with an Honours Bachelor of Science degree in Human Biology. She then completed her Doctor of Chiropractic degree from the Canadian Memorial Chiropractic College (CMCC). Dr. Eve also completed a 2 year post-graduate program in acupuncture. Dr. Eve is committed to continually improving her knowledge and skills, and regularly attends specialized workshops and seminars. Dr. Eve has completed courses in paediatric care, special acupuncture techniques, nutrition, medical compression therapy to list a few. Dr. Eve provides gentle chiropractic care and uses many chiropractic techniques such as diversified and Activator methods. She is also certified in Webster Technique and Thompson Technique. Roxana is a graduate of Sutherland-Chan School of Massage Therapy. She is a registered member in good standing with the College of Massage Therapists of Ontario (CMTO). Roxana has diverse health clinic and spa experience. Whether clients are seeking relaxation or relief from serious injuries and illness, she is dedicated to helping people feel better by relieving pain and restoring function. Roxana believes that massage therapy is a holistic and effective tool to help with both acute and chronic issues. Roxana strives to provide personalized, quality care with an emphasis on preventive measures and patient education. ​Roxana also provides hot stone massage, reflexology, and has previously worked as a nurse in her native Peru. Liz is the first point of contact at our office. Her professional, helpful manner will ensure that your visit is comfortable and efficient. Liz found her way to Dr. Eve after working in the travel and health food industry. Liz is excited about chiropractic and her continued journey in the wellness industry.